My kids love to have cold cereal for breakfast. But there is something even better that is a treat for us: granola. 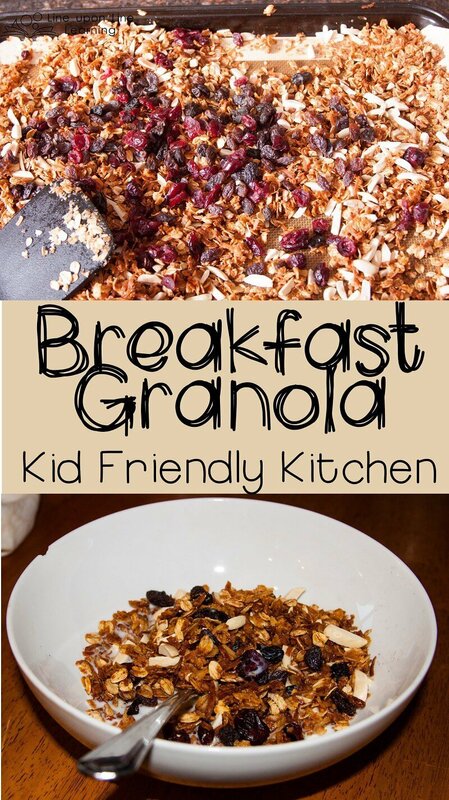 With milk or with yogurt, breakfast granola is a sturdy alternative. Plus, this is a super kid-friendly granola recipe to make: the kids can do almost every step themselves, there is a messy part that is literally hands-on, and the end result is tasty!